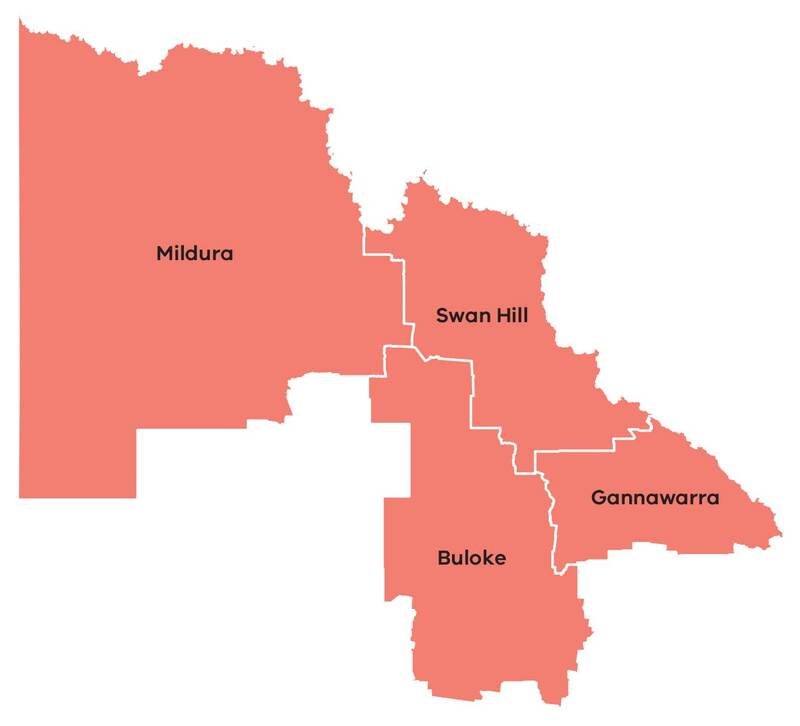 The Mallee region consists of the municipalities of Buloke, Gannawarra, Mildura and Swan Hill. The region has a strong Indigenous heritage, large Aboriginal population, and new skilled migrants are an ever growing demographic in the region. Three of the four municipalities in the Mallee border the Murray River. The river provides access to irrigation water, significant numbers of tourists, and a lure for people seeking a lifestyle change. Changing economics has resulted in family farms and lower numbers of young people staying on, or returning to, the family farm. Decreases in rural populations and an increase in ageing has contributed to several small towns becoming smaller and less able to maintain basic and community services. Upgraded irrigation infrastructure will provide new opportunities for irrigators and food processors and manufacturers. Growth in tourism from investment in nature-based and Indigenous tourism in the region's national parks and along the Murray River. Capturing the power of the region’s sun through large-scale solar energy facilities. Continuing drought and climate change present significant challenges to agriculture and horticulture in particular. Unlike the non-Indigenous population, there are more young Indigenous people and a strong need to 'close the gap' in health, education and well-being outcomes. The Mallee Regional Growth Plan is one of eight regional growth plans across Victoria. Also referred to as Loddon Mallee North it provides a broad direction for regional land use and development as well as high level planning frameworks and the means to implement the strategic land use and infrastructure directions that are set out in the Regional Strategic Plans.